Jazzercise helps you burn up to 600 calories in one fun and powerfully effective 55-60 minute total body workout! We’ve taken moves from hip-hop, yoga, Pilates, kick-boxing and resistance training and bundled them into a fat burning, muscle toning workout you’ll want to do again and again. If Jazzercise is a fleeting '80s memory for you, come in and discover for yourself how the exercise phenomenon has evolved into one of the better total-body workouts available today. Following the warm-up segment, dance your way through high-energy aerobic routines sure to get your blood pumping. Strengthen your heart and lungs, increase your endurance, decrease stress, and burn calories…and oh yeah, put a smile on your face. Strengthen and tone all of those important areas in the Jazzercise muscle-toning segment. Focus on specific muscles with additional intensity by using hand-held or wrap weights. At the end of each class, the cool-down stretch segment will help you elongate your muscles to increase flexibility, return your heart rate to normal, and prepare you for whatever awaits you on the other side of the door. Jazzercise, created by Judi Sheppard Missett, is the world's leading dance fitness program choreographed to today's hottest music, including Top 40, jazz, country, funk, and classics. Since 1969, millions of people of all ages and fitness levels have reaped the benefits of this comprehensive program. When you love your workout, results come easy - especially at Jazzercise. Jazzercise - The original dance exercise phenomenon! Each 60-minute workout blends dance and muscle toning movements choreographed to today's hottest music, including Top 40, jazz, country, funk, and classics. Our instructors make all the routines fun and easy-to-follow. Every class includes a gentle warm up, 30-minute aerobic workout, muscle toning and strengthening segment with weights, and a stretch finale. 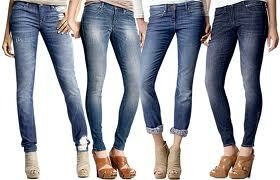 Jazzercise Low Impact - Get all the benefits of a regular Jazzercise class without the hop! This 60-minute workout blends dance and strength training movements with today’s hottest music. Jazzercise Low Impact is the perfect option for those that want to improve cardiovascular fitness, balance and flexibility. Jazzercise Body Sculpting - Sculpted arms, a strong core, tight glutes, and firm legs are the focus of this challenging 40-50-minute muscle toning workout that features a creative combination of strength training movements and stretching. Jazzercise Circuit Training - Featuring a proven combination of aerobic exercise and strength training with weights, resistance tubes, and balls, this Jazzercise workout covers all the fitness bases as you cross train your way to a fit and fabulous look. Jazzercise Lite - Fitness that's invigorating, not intimidating! This 60-minute class pairs moderate aerobics with exercises designed to improve your strength, balance, and flexibility. Whether you're a senior, newcomer, pregnant, or otherwise physically restricted, you can't go wrong with this popular light version of the original Jazzercise program. Jazzercise Personal Touch - Kick your workout up a notch! 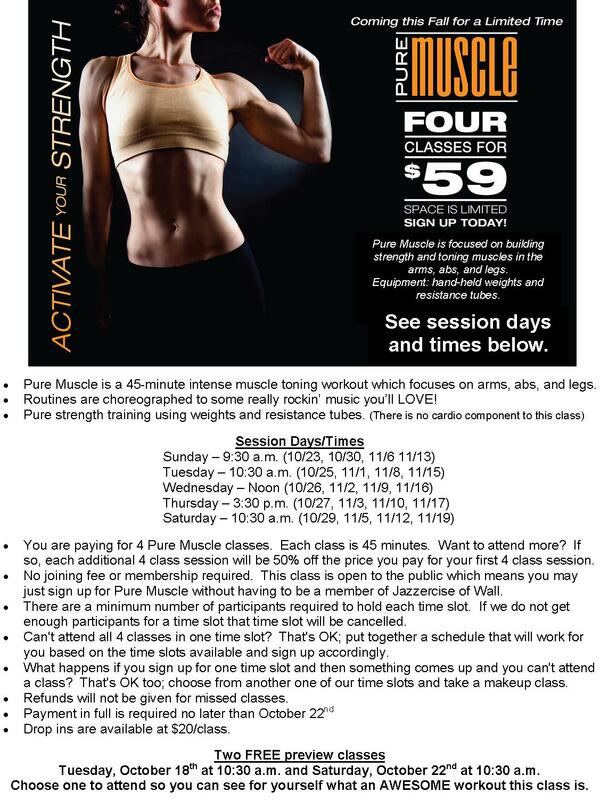 These small group weight training and body sculpting sessions are designed to improve strength and tone muscles. The personalized approach encourages exercise consistency and the attainment of fitness goals. Special attention to movement technique will help you get the most from your Jazzercise workouts. Junior Jazzercise! - The strong exercise habits kids develop now can go a long way in shaping their future. That's why Junior Jazzercise teaches things like coordination, strength and endurance, nutrition, and the importance of physical fitness. Kids ages 6 to 11 experience the joy of physical movement as they dance their way through specially choreographed age-appropriate routines to today's most popular music. Bonus - get a FREE week of babysitting! *Pay only $25/month for six months with EFT sign up. Regular monthly rate of $45/month applies after sixth month unless cancelled by 4/15/11. There will be NO cancellation fee if account stays active through the April 2011 draft. For new members or those not registered within the last 6 months or longer. Expires 10/31/11. Babysitting is normally $2.00 per child. 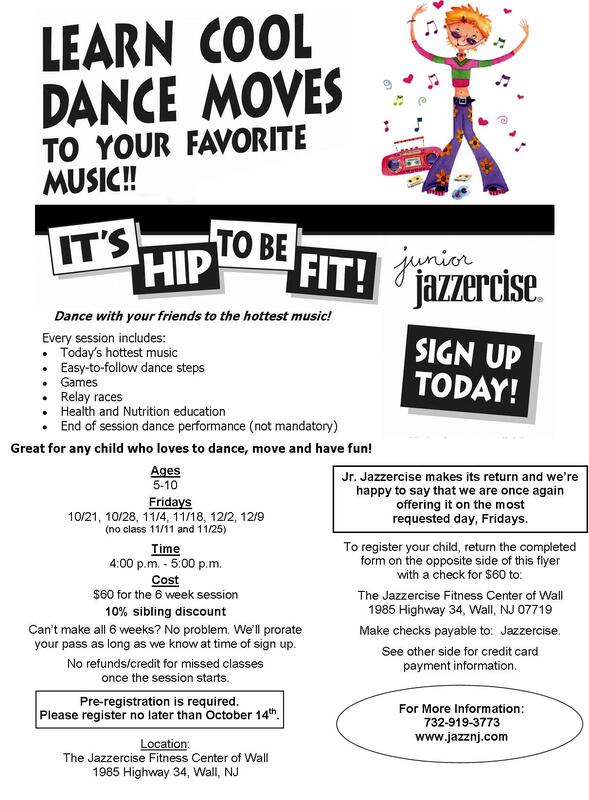 You may download the Jr. Jazzercise registration form and/or sign up here. You may sign up for Pure Muslce here. Jazzercise: 60 minutes. Real Results. Pure Fun.